Welp, I didn’t wake up this AM thinking I’d go and have a tooth pulled but that’s exactly what happened! I’ve had this baby tooth on my upper left side that didn’t have a replacement and never fell out on its own. The doc and I tried long and hard to save it over the years with fillings and what not but it finally gave up this week. The root was exposed and caused so much pain when I ate or drank (or heck, even inhaled thru my mouth the wrong way) that the only thing to do was take it out. I just wasn’t expecting to walk into the dr’s office with it and walk out without it! This doc does not mess around! Wow! My mom reminded me last night that I’ve made it to the 35/35 mark! That’s 35 weeks pregnant and 35 days to go! Wow! This is flying by! 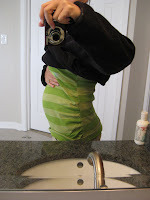 I don’t know if I’m really growing tummy wise, guess we’ll have to look at the pics to see but I know that the edema is starting to set in pretty bad, but only on my right side – so weird! How far along are you? 35 Weeks! 35 days to go!!! Total Weight gain/loss? We’ll find out on Wed officially but it’s creeped up a bit due to the water retention. Baby Movement? See the video from earlier this week…he was throwing a party in there!!! Best moment this week? Catching his grooving on video…that was so much fun! Not alot going on in the baby front these days. Just humming along, swollen numb hands and all:) Next dr’s appt is Wed where I’ll have my group B strep test and first internal – fun!! :) (sorry TMI!). I wanted to take a quick second to talk about something non baby related. I wanted to highlight an organization that has been doing great things for humanitarian relief. The organization is called UMCOR. It is a not-for-profit global humanitarian aid organization of the United Methodist Church that runs a number of relief efforts including collecting money for Haiti as well as providing health kits, layette kits, school supplies and other supplies to ravaged areas in an effort to help ease the suffering. Check out their blog – lots on there about the efforts in Haiti. One of the reasons I’ve chosen to mention this org in the blog is that I believe in what they stand for an appreciate that the money we give to them is passed on 100% to the relief efforts! In addition to what they do with monetairy donations, the accept donations of good and assemble various “kits”. The contents of the “kits” vary depending on the situation and there are currently 8 kits that they assemble and distribute. Focusing on Haiti and the relief efforts there they’re asking for health kits and layette kits that will be used to supply folks down there with clean towels, soap, blankets, and other basic hygiene items. This afternoon I assembled 12 of those health kits! It was alot of fun trying to find all the pieces (and i’m not saying that sarcastically – I went to two Targets with no luck but still had a blast trying out new stores in our area to find everything!) and now just need to run them over to the local UM Church here who will then be added to other kits being assembled by their congregation and shipped off. 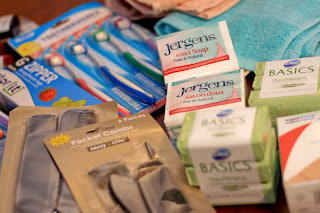 The health kits cost about $12 to assemble and are sent to areas in need to allow folks to have a towel, toothbrush, soap, etc…to help them feel a little more human! It’s not a lot but it’s something and it’s so easy to do! Consider it! So little man was on a roll today…he doesn’t seem to like when I sit fully up right in my chair at work and started kick boxing in my bellah for over an hour today. It was a little tricky getting it on tape because he seemed to know I was filming him and would stop. Excuse the bare belly one – that was my first attempt at videoing him and found that he was much more responsive with the shirt down (guess he can sense the cold?). It was fun to have him respond to me when I’d rub over my belly…i’d rub and he’d shift/kick in response. 14, 24, and 34 weeks respectively…haha…and I thought I was starting to get big around 24 weeks…hehe…silly girl! Stretch marks? Nope:) Although I have this dark line jutting out from the side of my belly button, trying to figure out if it’s just part of the Linea Negra or a stretchie starting…regardless I’ve been coco buttering the heck out of it! Best moment this week? 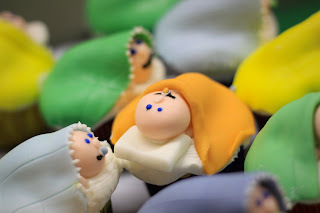 The most fabu baby shower ever to be had! 50+ friends and family gathered to shower little man with love and gifts. I couldn’t have asked for anything better – we’re soooo fortunate. Momma did a fantastic job planning and had a lot of help from Caty, my aunts and grandmas! Food Cravings? Hard to say since I’m hungry all the time:) So I guess the answer is…anything and everything? Belly button in or out? It’s hanging in there. There’s still some innie to it but I can’t imagine that will last a whole lot longer. Milestones? 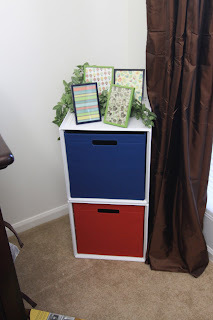 We have more for the nursery due to the shower – now to organize it and get it into his closets! Weekly Wisdom? Wow…so many this week….1. hammer + fingernail = pain (see other blog posts) 2. Baby wipes baby wipes baby wipes (and maybe some witch hazel) 3. Yes, having to pee every 10 min is a PIA but so is having sausage fingers, toes, and ankles – drink up! 4. Get maternity pics done – I know some folks say that they never want to see themselves that fat again but I dont know, maybe it’s the photo junkie in me but I want to remember this time and having a maternity photo session is the perfect way to do it! I’ve been looking in Target and other stores for binky leashes (you know, the ribbons that at one end attach to the binky and the other side attaches to your child’s clothing so you don’t lose the binky when they decide to spit it out?) and haven’t found one I like:( Anyways, I ran across a tutorial online at The Mama Dramalogues on how to make one of your very own – without sewing! I thought I’d give it a shot. I ordered copious amts of ribbon from theribbonspot.com, plastic clips and mam rubber binky holders from a seller on ebay, and snaps from JoAnn. Everything finally arrived yesterday so I spent most of my day today putting them together (during conference calls of course!). 2. snaps aren’t all the hard to attach if you follow the directions – which I didn’t so I wasted lots! However, I have lots of ribbon for other projects and really like the ones I put together. Maybe other mammas will see them and want one and I can open my own etsy store…ha ha..ya, right – wishful thinking:) I’m really not all that crafty! Note to self and others…hammer plus finger nail = pain. My poor finger…I was hammering the snaps on to the binky clips and missed! A few days before Christmas my friend Kim at Good Things to Come Photography came over to my parents house for a quick maternity photo session! I can’t say enough great things about her and her photos:) She’s been a great friend for many many years and I was soooo happy to have her doing our shoot! She has amazing talent and I could not wait to see the pics she took…well, she made me wait to see the photos until my shower because she had something special planned! Don’t forget to check out Kim’s website and Facebook page and if you’re in the Pittsburgh area and are in need of a photographer don’t hesitate to look her up!! Today I was reminded at how incredibly fortunate DH and I are (and little man). 50+ friends and family gathered to shower little man with well wishes and help to outfit him once he arrives! 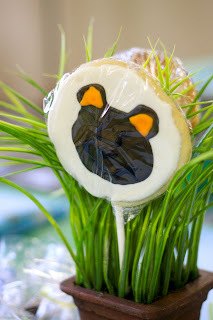 The shower was themed from his nursery – woodland creatures! The tables were adorned in green table cloths and centerpieces made of grass and decorated sugar cookies (that my mom made!) 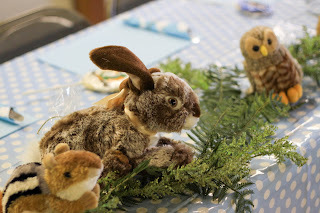 The head table had grass, moss and plush stuffies in a variety of creatures that now will decorate little man’s room! 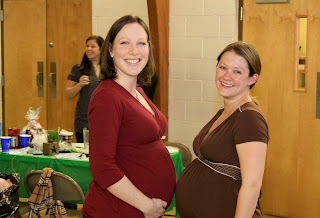 And last but not least, while I have a ton of great pics from the whole shower with all my friend, I had to show off the other pregnant girlie:) Erin and I grew up together and she’s expecting a little girl in May! Both DH and I had a fantastic time! We were overwhelmed with the generosity of our friend and family and can’t possibly thank everyone enough! I feel so lucky! So my hands have been swelling for a few weeks now and I’d accepted that I’d been sausage fingers for the remaining 8 odd weeks of this pregnancy. I’d hoped that the swelling would be limited to my upper extremities…haha..wishful thinking! Today, I looked down and my ankles have decided to join in on the fun! So far my right is ahead of the game in its disappearance but the left isn’t too far behind! So, unless I can wear Uggs to my shower this weekend, I think my cute dress is totally out of the question. On to slacks and a sweater for me! 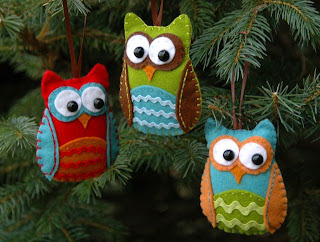 These cuties and their pattern came from Juicy Bits Blog and they looked simple enough to make….although, I’m not much of a sewer and this carpal tunnel has me a bit limited. Pretty good for a first pass. Now off to cut out 4 more or so and maybe a few small ones too. Next up, learning to crochet an amiguri doll!! How far along are you? 33 Weeks! Best moment this week? 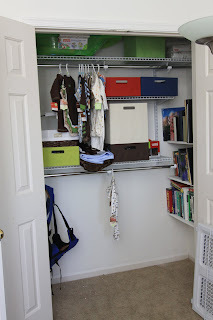 Getting the closet system in and organizing his room! Milestones? Making progress on the name game. We don’t have anything picked out yet but we at least have whittled our long list down to a short one. Sorry folks, we’re not sharing until after he’s born – you’ll just have to be surprised! Weekly Wisdom? There’s no shame in calling the doc when you’re not sure if you’re having braxton hicks or real contractions. Being a first time mom, we have no idea what we’re supposed to feel. So I was going back and forth with a fellow blogger over at Baby Booties about nursery deco and she’s looking for a good mobile that’s not too girlie or cheap looking. 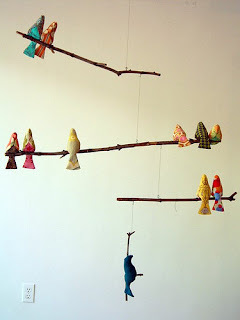 Knowing that I’ve seen a number of them in my travels on the internet I set out looking again for answers for her and just happened to find something I think I might do for little man’s room (since the mobile that goes with his bedding is like $60!). But I’d do woodland creatures rather than butterflies…. This is actually a pretty neat idea! 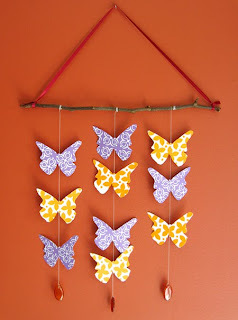 It’s kinda theme neutral and you can use scraps of fabric (or even heavy paper is you’re really crafty). You can make it to match any color scheme! Anyways…now I’m inspired and am heading out to find good patterns for woodland creatures to go with my idea….i’ll post progress/results as I make them! Currently the pics are a bit mundane because it’s been super cold here, there’s no baby yet, and work has been a beast so I dont get out much to find interesting subjects. But, so far I’ve kept up! I have a picture for every day of this year. Quite a productive weekend this time round. I met up with the M54 girls for lunch (all of them are due right around when I am so we were trading pregnancy war stories:) ), I finally got the closet system up in Bigfoot’s closet, DH got the window casing in in the kitchen and we got the tile backsplash ordered for the kitchen! 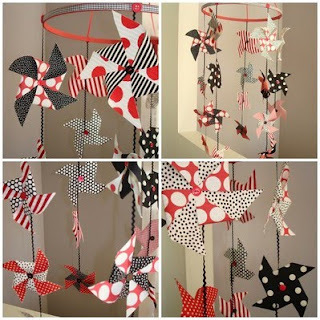 Not to mention I spent way too much time at Target again and added JoAnn Fabrics to the mix just for fun! And his new toy cubby in the corner….soon to be relocated when we rearrange the room. So, I can’t help myself when I walk into Target. My list may only have 1 or 2 things on it and I inevitably walk out with a cart full of things. This time I did have intentions of finding art for the baby’s room I just wasnt sure what I was looking for. I walked up and down the aisles trying to imagine the things on the shelves as wall art. 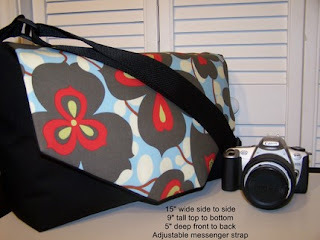 After putting way too many things in my cart as always I found what I needed – in the scrapbook aisle! I found a pack of paper that had an outdoors/woodland creatures theme and had some great bright colors! Off I wandered to the frame aisle to find plain black frames to use to put my new “art” in. 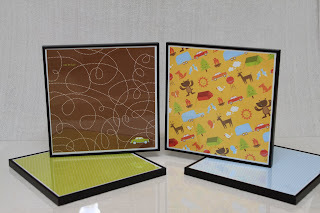 Below is the outcome – I can’t wait to hang them on the walls! So we’ve made more progress and DH keeps calling me a slave driver:) I may be a schedule hound but if I wasn’t we wouldn’t be making the progress we are. Okay, “we” is a bit of a lie – it’s more like DH all by himself. The pregnant me is hesitant to work with the electrical and forget crawling around on the floor to help with anything else! I’m just good at directing and keeping him on schedule:) He works really hard and spends just about every evening after work doing something or another. What a dedicated DH! I’ve decided not to take any more pics until we get the backsplash in and get things painted. That means that it may be a few more months before anyone sees the final product but safe to say, we’re still working on it! We do have the bottom trim and the under cabinet lights in on the large bank of cabinets. Tonight DH is working on getting the electrical around the window to the one lonely bank of cabinets on the other side. From there we have to put the window casing and sill up, backsplash, paint, etc…and then we should be done. It’s all detail work now so it will likely progress much much slower than before. So it’s been smooth sailing this month! So much so that the doc said that I dont have to come back for 3 weeks (instead of the normal 2). However, from that point out we’ll be down to weekly’s with internals – woohoo! Little man is really grooving in there but still likes to sit up high under my ribs which is not always the most comfy spot but he seems to like it. We have a full month on tap for Jan – Mommy group lunches, Baby Shower, In-Laws visit, birthing class, CPR class you name it! At some point my bro should be down too to do the baby’s mural (and I’ll finally get the closet system installed). Things are starting to come together! I can’t believe this little one will be here in approximately 8 weeks! How far along are you? 32 Weeks! Total Weight gain/loss? According to the scale at the doc I’m up .5 lbs to something like 28lbs total. The doc i saw yesterday was happy with that. He’s more concerned with the overall weight gain that month to month. So far I’m doing just fine he says – I like this doc! Best moment this week? Knowing for sure that I slowed the tide that was my weight and that the doc is actually okay with where I am! Food Cravings? Well until today it was thankfully just water….super thirsty but today it was Pez – 7 sleeves of Pez! Now that it’s gone from my house I hope to not go thru that again – but it tasted sooo good!! Milestones? Odd one but progress/milestone just the same – got the closet cleaned out and painted, just need to get the shelves up. As for big foot in there he’s starting to put on white fat (?) and is working on developing his senses more fully. Weekly Wisdom? The tingling in your hands is likely carpel tunnel induced by pregnancy…get used to it but don’t spaz too much as it is supposed to go away after the baby is born. I feel like my hands are always asleep now! So, the past week or so I’ve noticed that my hands tend to fall asleep faster than ever and at the most unusual times. Time like when I was typing an email or when I was sleeping. I was waking up four or five times a night to painfully numb finger tips and would have to shake them to wake them up – not fun! On her way to 3!